After endless hot rounds in the tropical South East Asian sun, I've finally found the best golf gloves for hot weather. Not only the best gloves, but also the best techniques to make them last all year long. And if you keep reading, you'll find out just how I save myself shots on the golf course but also tons of money by playing the right gloves and looking after them the right way. Don't wear the gloves between shots to make them last even longer! Use gloves designed for wet weather, because sweat is...wet. This works for me and I guarantee it'll work for you. The best and weirdest thing I've tried and works wonders is using a golf glove for wet weather! Think about it though, a glove designed for the wet while your hands are getting wet from sweat makes sense. Here are the gloves I've used and found to be the best and longest lasting in the oppressive heat of Thailand, Malaysia and Indonesia. FootJoy tell us 20% of golfers use the strangely misspelled WeatherSof golf glove. It's made with leather patches on the thumb and the meaty part of your palm while the rest of the glove is a highly durable synthetic material. ​These are the number one choice just because they're so durable. I'll usually put 3 of these in the bag, ​and they last a full season playing once a week. They show only mild signs of wear after a few rounds and if you rotate them throughout the round, last a crazy long time. ​​Rain or shine: The glove works for both liquids, rainwater and sweat. It absorbs liquids better than the majority of gloves on the market and in Thailand's heat and rain, these are my first choice. ​Yeah, rain golf gloves are great for hot humid weather with all that sweat dripping out of every pore. The technologies used in rain gloves transfer nicely into hot weather play too. The RainGrip uses Autosuede on the palm and ​index fingers for supreme grip while on the back of the glove FootJoy have put a QuikDry synthetic material for huge breathability. Fibers on the Autosuede get initiated to stand up when the glove gets wet, actually improving grip on the club. ​In the tropics, I use these gloves when it's rainy season. It's convenient to have gloves that work well when it's super hot with rain coming on the same day. Cabretta leather palm and thumb paired with a super breathable back of the hand make this an extremely comfortable glove. It genuinely feels like a second skin. These are great gloves if you hate wearing gloves because they make your hands hot and swollen. I don't get to use them often and only when my American friends bring some back for me. Even though they feel like they're not even there, I do take gloves off for putting. Anyone who plays in hot humid weather knows what a pain it is to take a glove off and I often end up using my teeth to pull them off. Not with these. The Grip Boost Second Skins come off very easily. Another big draw for these gloves is I've never got a blister from using them out of the box. I usually get blisters from Srixon gloves and other all-weather gloves on the padding of my thumb but not with the Grip Boost. ​Hirzl are famous for cycling gloves ​but are creating amazing golf gloves and now sponsor the ​Ladies European golf Tour. And they're amazing quality. The palm is made of KANGAROO leather - yes that Australian animal - which is more durable and flexible than Cabretta leather, which is used on the back of the glove. What I find with these gloves is they get some oils and warmth from your hand and get ​VERY flexible and comfortable. The kangaroo leather is tanned a certain way to make these gloves the grippiest on the market for ​wet or dry conditions. It's something you have to try to believe - they're like Velcro to the golf club grip. They're super thin and yet so durable. I still own the same one I got 2 years ago and it's always in my bag for those really sweaty days. And get this, I just chuck it into the washing machine to freshen it up. If you're a greenie who prefers killing lambs for their Cabretta and think killing a kangaroo is somehow worse, then you probably need counselling anyway. In the wet, or sweat, the Bionic AquaGrip golf glove's suede microfibers ​get stickier as they get wetter. This makes it one of my favorite gloves for golf in hot humid weather. You can use this glove whether it's rainy season or dry and sweaty season without any need to replace it. It lasts for a really long time. 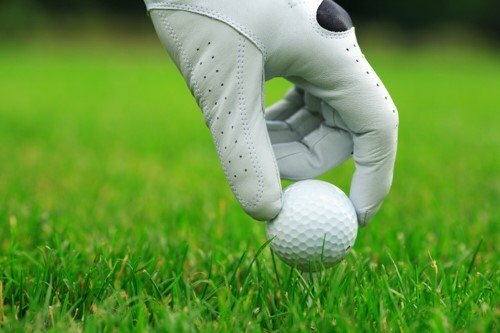 ​Bionic have made a golf glove with Lycra-material areas that flex and move with your hand for more comfort and flexibility. They've pre-rotated the fingers so when you close your hand, the material is already in place instead of that constant friction. ​Here's a little bonus for you golfing nutcases. A cheap little product that you can store next to your sun cream. It adds some extra grip to your grips and hands without being overly tacky and sticky like glue. Once you play enough golf, you'll play through hundreds of gloves. 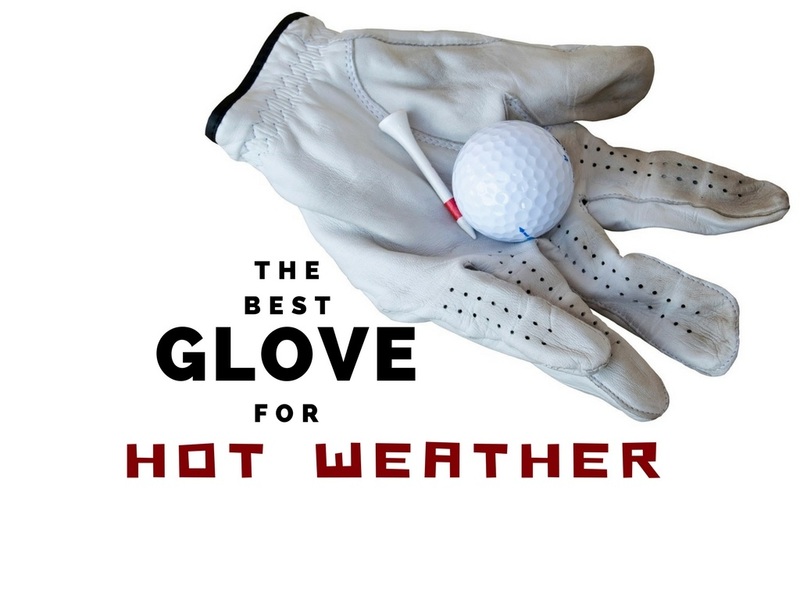 The gloves I outlined in the guide above are simply the best I've used after playing tons of golf in South East Asia where the heat is often debilitating and by the 15th hole, you've sweated out 3 kidneys. Try a few, try one, up to you, but get yourself 2 or even better 3 gloves to alternate between shots to make them last you entire seasons. Have you tried the FJ Tropicool? I bought that when I was visiting Vietnam a few years ago and it’s lasted me to this day. I just put it in the washing machine every few weeks and let it air dry. Still going strong!